When you want to impress clients, celebrate an achievement, or reward and motivate your employees, Adeline’s Sea Moose is a spectacular and very logical choice for corporate events. Adeline’s Sea Moose and her crew delivers the WOW factor the reflect well on your company, and our corporate yacht charters provides an extraordinary venue, excellent service at an exceptional value. Our corporate yachts charters do not have to end when returning to the doc. Adeline’s Sea Moose onboard overnight accommodations are wonderful for rewarding favored clients and employees – and surprisingly inexpensive and uniquely enjoyable alternative to costly hotel accommodation. 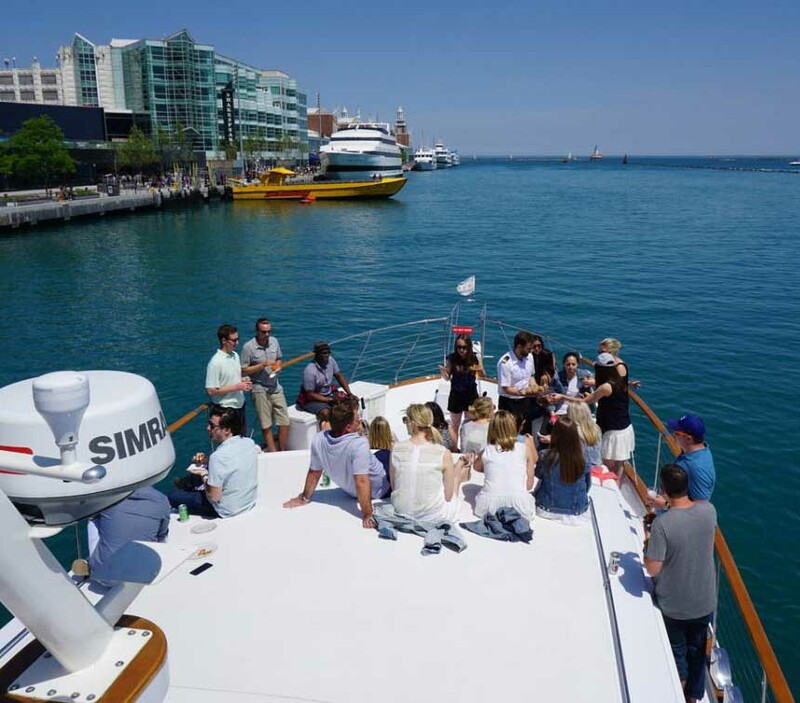 Our Chicago based corporate yacht charters can be arranged as an incentive or reward program for top performing employees and to entertain existing or potential clients. It can also be ideal to encourage team bonding in an exhilarating atmosphere. Corporate yacht charters in Chicago have become increasingly popular with executives looking to organise important meetings or close a business deal away from the distractions of the office. Our charter yacht provides the perfect opportunity to build relationships with clients and suppliers in complete comfort. A corporate yacht charter offers the perfect balance between business and pleasure in a relaxed and inviting atmosphere. 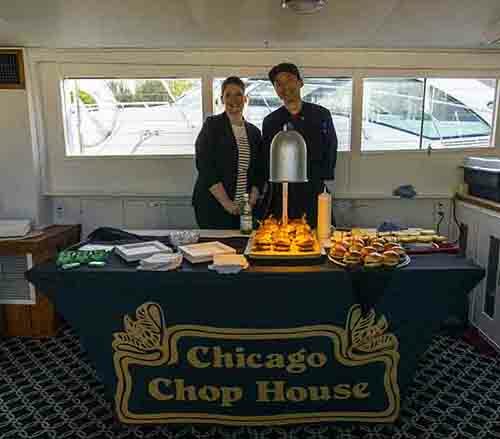 As a Chicago charter yacht we offer a fresh and innovative venue for Chicago corporate parties and events or hospitality event, encompassing all the perks of a land based venue with the incredible aspect of varying locations and unrivalled luxury. A corporate event can be tailor-made to suit the specific needs of your business and clients, with the knowledge and expertise of an experienced charter crew to ensure everything runs smoothly. We specialize in making your job easier. Our team provides impeccable organizational and creative skills to make your events and parties exactly what you’re looking for.